As Greece is struggling to rescue its public finances, the Greek Parliament is scheduled to discuss over the next few weeks a major amendment to its insolvency legislation, more specifically an overhaul of the so-called Conciliation proceeding. If the amendment is adopted as drafted, Greek commercial entities will be able to negotiate with their creditors rescue plans that may include pre-pack sales, involve cram-down on minority dissenters and ratification much faster than under the current law. While facilitating efficient rescues, the new amendment is also aimed at avoiding abusive uses of the rescue process and to introduce a standard for assessing a plan’s fairness by appealing to the value break as regards the debtor’s creditors and stakeholders. While some elements may still be lacking (especially as to the conditions for priority treatment of DIP financing), the new bill is certainly a move in the direction taken by other European insolvency laws. Nevertheless, given the extraordinary circumstances in which Greece finds itself, it may seem a small and perhaps inadequate step. Until the year 1990, Greek law lacked any kind of pre insolvency proceeding to assist restructuring efforts. However, to 1980 saw many large enterprises fail and become state wards (an agency was formed for the orderly liquidation of failed enterprises but, in fact, significant public funds were spent to keep them afloat.) In 1990, legislation was introduced to allow for court ratification of restructuring agreements which would be binding on non consenting creditors if agreed to by the debtor and the majority of creditors (at least 60% of all creditors and 40% of secured creditors), as well as a mediation process and the appointment of a liquidator to maintain the business as a going concern for the purpose of proceeding to a speedy sale. These proceedings were primarily available to the state controlled troubled enterprises and had limited success in that context; however, gradually the cram-down agreement started being used more broadly by private debtors and their creditors and obtained a degree of popularity. As that proceeding (known as the Article 44 proceeding) increased in frequency of use, concerns emerged regarding the potential for abuse of its provisions by the banks and the debtor to the detriment of smaller mostly trade creditors. 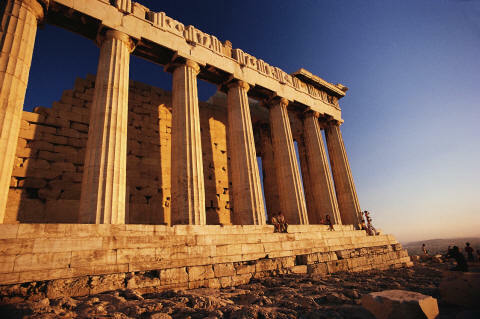 In 2007 the Greek Parliament voted in the first Bankruptcy Code. It was touted as representing a shift in policy, being strongly pro debtor as compared to the strong pro creditor bias of the statutes it replaced, and emphasizing rescue over liquidation. The latter claim has proved to be unjustified. The 2007 Code introduced two rescue proceedings: first, a version of the French conciliation process involving the appointment of a mediator and the ratification of a restructuring agreement by court if adopted by a majority of creditors (more than 50%) which renders the debtor immune to individual enforcement action by all other creditors for a period of 2 years (temporarily extended to 4 years) and protection from collective actions for 6 months (temporarily extended to 1 year). Significantly, this conciliation process (known as the Article 99 process) lacks cram-down effect. Non consenting creditors maintain their claims unaffected (indeed that is one of the tests for ratification of the restructuring agreement, that it have no adverse impact on non-consenting creditors). There is an alternative route to restructuring that involves cram-down on minority creditors but it is only available if the debtor sues for bankruptcy, and that prerequisite (as well as the significant procedural and substantive requirements of that application) has made that option unpopular. Practice has shown that Article 99 is employed most frequently by debtors to secure a preliminary order prohibiting creditors from enforcing their claims. Of the more than 5000 applications that are at various stages of development in the Greek courts, the vast majority are thought not to be bona fide restructuring efforts but bids by debtors to obtain a procedural advantage in their negotiations with creditors, or to gain time or even, in some cases, to put assets beyond the reach of creditors. By providing only weak assistance to rescue efforts, Article 99 has ended up being used abusively in a large number of cases. In the beginning of March of this year, the Greek Ministry of Development released a draft law (that has yet to make it to Parliament) that has been described as the return of Article 44. The new effort comes at a very critical time for Greek economy, as the country is unable to borrow through the markets and is pursuing a course of rapid internal devaluation while also pushing to increase public revenues. Local banks are under tremendous strain and most businesses are suffering from the dramatic reversal in market conditions. Against that background the new draft allows the majority of creditors to make a restructuring agreement with the debtor that will bind non consenting minority creditors. The conditions for such cram-down are equal treatment of all creditors belonging to the same class and that no creditor will receive less than what it would through bankruptcy liquidation. Another significant innovation of the new statute is that it contemplates the ratification of an agreement through the prior appointment of a mediator (as under Article 99) as well as the direct submission of an agreement reached directly between creditors and the debtor to ratification. The corresponding provisions make also explicit reference to the ratification of an agreement for the sale of the business or parts of the debtor’s business, setting the stage for the introduction of pre-packs. While the new draft has much to commend it both in technical terms and in addressing defects of the current regime, the fundamental problem with rescue in Greece remains the combination of a slow moving judicial system and lack of insolvency expertise amongst judges, lawyers and financial advisors. The conciliation process usually takes more than one year between the date of initial application and the date of ratification of the agreement, even though the statute anticipates not more than 3 months overall. The discrepancy in time is due to the extremely long wait for hearing dates. This extraordinary waste of time for such a time sensitive process is manifestly prejudicial to both debtors and creditors and to the prospects of arriving at a successful rescue. In addition, the lack of expertise among the participants in the process means that solutions tend to be standardized and not tailored to the specific features of each case, with significant costs in terms of efficiency and effectiveness. The introduction of a new rescue process during this period of crisis is certainly timely. However, one may wonder, given the intensity of the current crisis in Greece, whether immediate needs can be addressed through normal rescue tools or whether some extraordinary solution, custom designed for an environment in which banks will be hard pressed either to provide rescue financing or to write-down NPLs, the revenue office and pension funds are pushing to collect to the maximum extent possible, there is very little appetite for investment while the prospect of unemployment looms for increasingly large parts of the labor force. While the new law may bring together interesting rescue elements from other jurisdictions and a significant degree of innovation compared to past efforts, it may seem modest in the light of the current extraordinary circumstances and needs. POTAMITISVEKRIS is a broad commercial law practice based in Athens that is recognized as market leader in various practice areas, from banking and finance to insolvency, energy and employment law. Stathis has a varied transactional practice that includes inbound investment, cross border investment into Southeast Europe, privatization, international arbitration and insolvency. He has taken part in the preparation of many laws, regulations and codes, most recently the first Corporate Governance Code prepared under the auspices of the Hellenic Federation of Enterprises. In the late 90’s he took part in the capital market law reform, the dematerialization of securities, the automation of securities clearing and settlement and the establishment of a derivatives exchange. He is an INSOL International Fellow and a member of the International Insolvency Institute.